Home All About Credit Should You Cancel a Credit Card with $0 Balance? Should You Cancel a Credit Card with $0 Balance? Many consumers are tempted to limit their debt by closing one or more credit cards as a result of the steady rise of the cost of living and credit card interest rates. However, though there are many reasons to close a credit card, there are ultimately even more and better reasons not to. If you care about maintaining a good credit score, you should avoid closing a credit card even if you have fully paid off the balance. This is because your credit score is based on a number of different factors that will almost all be adversely affected by closing a credit card. “An account closure could wind up hurting your score because it eliminates the available credit line associated with the card and could easily skew your…credit utilization. It could also lower the age of your credit report, which may affect your score over time,” warns Jeanine Skowronski, credit card analyst and reporter for Bankrate.com. According to FICO™, the United States’ biggest credit scoring service, 10 percent of your credit score is determined by credit mix. The more diverse the mix of your credit types, the better, so you should especially avoid cancelling a credit card if it is your only one or one of just a few. More importantly, 35 percent of your credit score is determined by your payment history. If the credit card you want to close has a long and good history, closing it will hurt your credit score significantly. “If you have a good payment history on a card, then it is a good idea to leave that card open. This is especially important if you have a poor history with other cards or forms of credit,” says Chizoba Morah, contributor for Investopedia.com. Furthermore, Morah adds that “by closing a credit card, they can lessen the chances that their identity will be stolen,” a risk that is increasingly at the front of people’s minds given the increase in identity theft in recent years. While these are legitimate reasons to cancel a credit card, there are alternative methods to tackling these without incurring penalties on your credit report. There are a couple of steps you can take to keep a credit card open while making it very difficult to use it, thus limiting the aforementioned temptation and risk of identity theft. One step is to remove your credit card information from any online retailer that still has it, such as Amazon, so that it can never be unintentionally used by you or the retailer. Another step is to destroy the physical credit card itself so that there is no risk of losing it or having it stolen. “If you have an inactive credit card or a card with a high balance, cut it up instead of closing it so that the history remains on your credit report but you won’t accumulate more charges on it,” advises Morah. 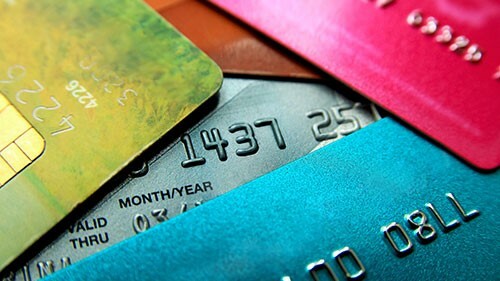 Ultimately, the negative consequences of canceling a credit card more than offset the potential benefits, especially as these benefits can be explored via alternative means. Unless the credit card you want to cancel is very new, mostly unused and one of many other credit cards, you are likely better off leaving it open.